Government’s financial support for the higher education and training sector via the NSFAS student loan system has risen by more than 600% for universities and a massive 17 900% for technical and vocational education and training (TVET) colleges in the past ten years. Official spending figures from the Department of Higher Education and Training show that total outlays via NSFAS in support of students at universities and colleges from poor and lower income families grew twelvefold from R 1.755-billion in 2007 to R 22.307-billion in 2016. The figures are contained in a response by Minister Blade Nzimande to a Parliamentary Question. “These figures make crystal clear that post school education and training has been and continues to be an absolute focus and priority of the ANC government,” said Minister Nzimande. The rise in spending showed that government had fulfilled one of the key promises of ANC policy and had opened the doors of learning to all. Post-school education and training (PSET) continued to be a massive empowerment tool, ensuring that individuals, families, and communities could benefit from the better prospects provided through skills and qualifications. News desk writes, collates and publishes relevant news for Yiba. 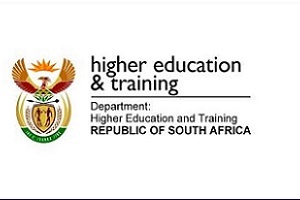 Want to know what’s going on in higher education sector in South Africa? Then get connected to Yiba where you will find news across the entire spectrum – university, college, DHET and skills sectors. You will also find news on career opportunities and training opportunities.